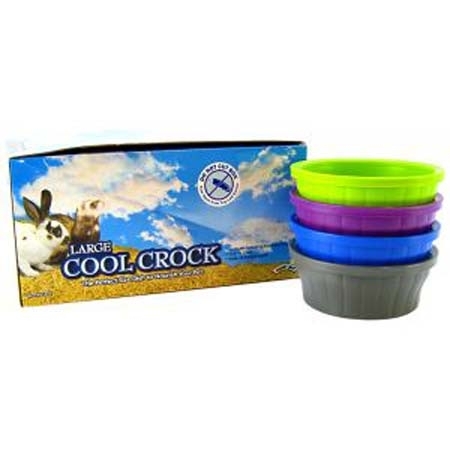 Cool Crock, the ultimate value priced food bowl. Made of durable plasticthat is EZ to clean. 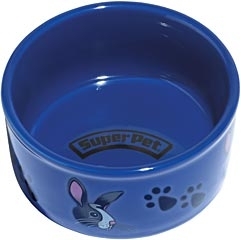 Large bowl is ideal for rabbits, chinchillas and pet rats. Large bowls has an 18oz. capacity. 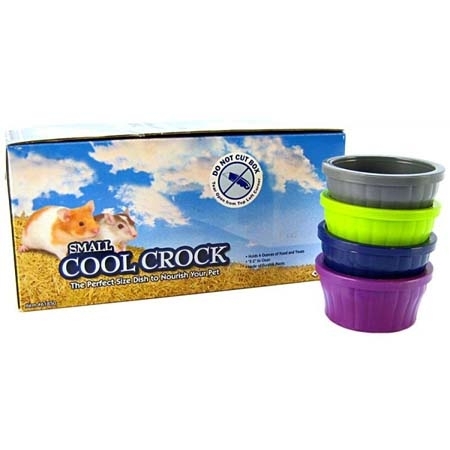 Cool Crock, the ultimate value priced food bowl. Made of durable plasticthat is EZ to clean. 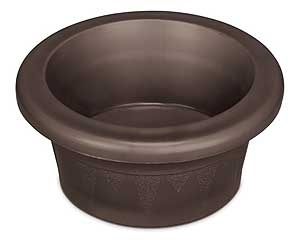 Medium bowl is ideal for chinchillas, guinea pigs, and pet rats. Medium bowls has an 8oz. capacity. 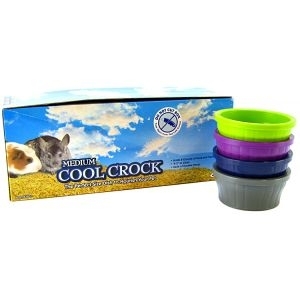 Cool Crock, the ultimate value priced food bowl.Made of durable plasticthat is EZ to clean. 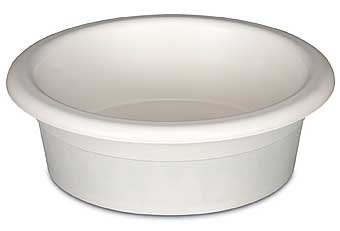 Small bowl is ideal for hamsters, gerbils and pet mice. Small bowls has an 4oz. capacity. 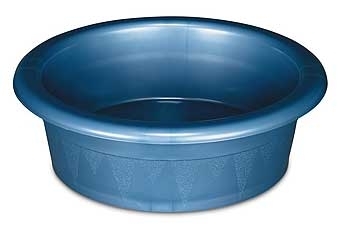 Crock style pet dish with Microban antimicrobial. Cool, contemporary designs. Great for any home decor. Paw-Print Petware is the perfect fancy feeder for your pet ferret. 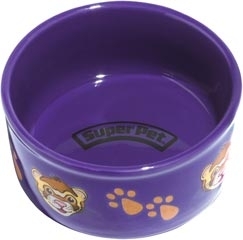 This fun and fashionable bowl is decorated with actual paw prints and face silhouettes of a ferret! 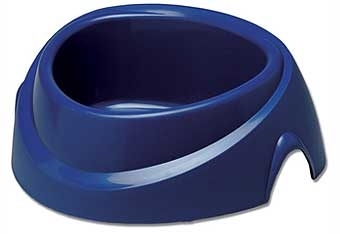 These ceramic dishes are the highest quality feeder for your pet, plus they are heavy-duty to prevent overturns. 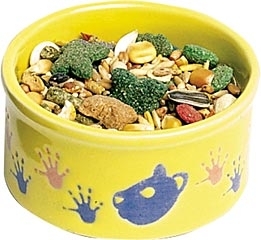 Paw-Print Petware is the perfect fancy feeder for your pet hamster or gerbil. This fun and fashionable bowl is decorated with actual paw prints and face silhouettes of a hamster. 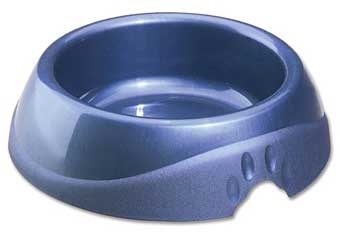 These ceramic dishes are the highest quality feeder for your pet, plus they are heavy-duty to prevent overturns. Paw-Print Petware is available assorted in four color combinations. Paw-Print Petware is the perfect fancy feeder for your rabbit. This fun and fashionable bowl is decorated with actual paw prints and face silhouettes of a rabbit! 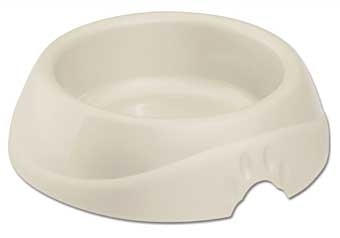 These ceramic dishes are the highest quality feeder for your pet, plus they are heavy-duty to prevent overturns. 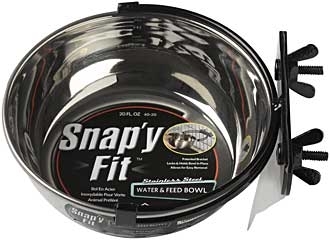 Patented bracket locks and holds durable Stainless Steel bowl in place. Allows for easy removal. Microban antimicrobial protection. Wide base for stability. With Microban antimicrobial. Cool, contemporary designs. Great for any home decor.